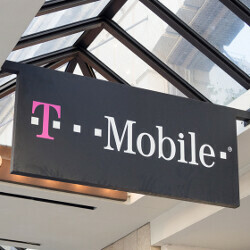 T-Mobile wants to take you to the movies. For next week’s T-Mobile Tuesdays, the carrier is giving away $ 4 tickets to see Julia Roberts’ new movie Wonder. Also starring Owen Wilson, the movie is about a disfigured boy who has to put up with the trials and tribulations of looking different in the fifth grade. T-Mobile subscribers will also receive $ 20 in diamonds for the mobile game Forge of Empires. The latter is available for both iOS and Android. Like to cook? Next Tuesday, T-Mobile will set up its customers with a free online cooking class from Panna. In addition, subscribers get 30% off and free shipping from sneaker and apparel firm Puma.com, and a BOGO deal at Baskin-Robbins for an ice cream cone. Panda Express comes back into play with $ 3 off a purchase of $ 5 or more. And you’ll need to check the T-Mobile Tuesdays app to see if it is your week to score a free bowl from the fast-food Chinese restaurant. For next week’s contest, one grand prize winner will win a four-day, three-night vacation to San Diego; this includes two airline tickets, two nights at the Kimpton Solamar Hotel, and a variety of exciting and fun things to do including a dinner cruise, a kayak and snorkel tour, a biplane tour over the city, and a speedboat tour. The winner and his/her guest will also get some time for mountain biking, and a $ 500 bank card. A check for $ 600 will be issued to the winner to cover taxes and other expenses. Two first prize winners will be sent a snowboard signed by an athlete sponsored by LifeProof. This is a company that sells cases and other accessories to protect mobile devices owned by very active people. The two first prize winners will also receive a LifeProof swag bag containing a LifeProof gift card for a free case, a LifeProof t-shirt, and a LifeACTIV armband with quickmount, and LifeACTIV multi-purpose mount with quickmount. Fifty second prize winners will receive the LifeProof swag bag (no snowboard).